James K. Theisen | Hupy and Abraham, S.C.
Meet Hupy and Abraham, S.C. Attorney James Theisen Attorney James K. Theisen joined Hupy and Abraham in 2014 as an associate attorney to work in our Rockford office. 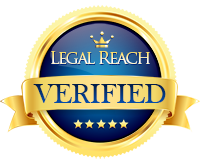 "I was very pleased with the representation that I received regarding my case. From day one, I was kept abreast of any and all developments. Everything was accomplished in a very timely manner. I felt "valued" as a client. This was a rather daunting incident for me and having this very reputable firm as my representation made for a very pleasant experience/outcome. I am overwhelmed with the overall professionalism and courtesy afforded me by my [James] and his staff. I have recommended Hupy and Abraham to others as the "number one" law firm to contact; should they need representation. I will continue to do so. I am very thankful for their intervention on my behalf." "James is very professional and efficient. Very pleased with the outcome of the case." Attorney James Theisen is proud of the firm’s integrity and welcomes you to post your own review. If you had a nice experience with Attorney Theisen, let us know. We enjoy receiving feedback from our clients and we’d love to hear from you.